Information security breaches are becoming more commonplace. The aviation industry was historically nowhere near as safe as it is today. Having gone through a period of safety transformation, it now has an enviable safety record. Much of this is due to the safety culture framework that was implemented in response to numerous disasters. 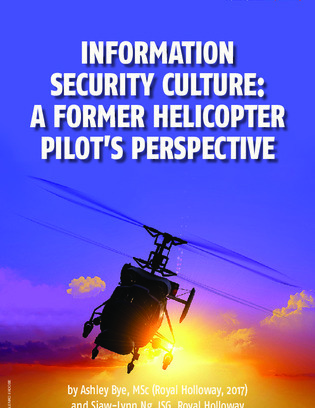 This article provides an overview of how a similar framework, adapted from the UK Military Aviation Authority’s model for an engaged air safety culture, could be employed to reduce the prevalence and severity of cyber security incidents.